This collection is full of heartwarming melodies loved by all, from classic folk songs to hymns and classical works. In addition to the single titles, there are three medleys and two suites. The included CD has both demonstration tracks featuring real instrument recordings and fully orchestrated play-along tracks. Titles: Gesu Bambino (The Infant Jesus) * O Holy Night * Lo, How a Rose E'er Blooming * and more. 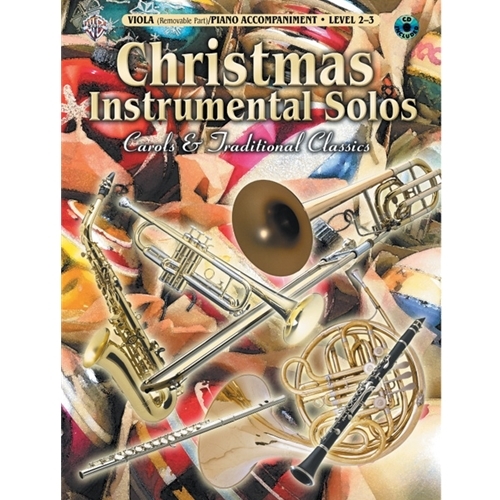 This collection features several special medleys: Carol Medley * Angels Medley * Manger Medley * Celebration Medley * and more. Level 2--3.